Pick up and Drop off ● Air-conditioned transport ● Official English speaking tour guide ● Insurance. Discover the Apparition Hill and strengthen your spirit at Mass in the beautiful St James`s church (optional). At arranged time and meeting point starts your one day tour/pilgrimage from Split to Medjugorje. Our travel starts with a drive through the border between the Dalmatian coast and hinterland. After 2 hours of a comfortable drive with air-conditioned vehicle we will arrive to this special city. Thanks to apparitions of the Blessed Virgin Mary which appeared to six children since 24 June 1981, Međugorje is now visited by pilgrims from all over the world as a shrine and оne оf the biggest prayer centres іn the world, comparable tо Lourdes аnd Fatima. Your private tour guide will explain you more about this city and show you the religious sites. You will have free time to discover the town on your own and climb up on the Apparition Hill (where Virgin Mary appeared in 1981). It is a little challenging to climb up on the hill but as you get on the top of this holy place you will enjoy a beautiful view on Medjugorje and its surroundings. You can also attend the holly Mass in the St. James`s church and have lunch in one of the local restaurants. 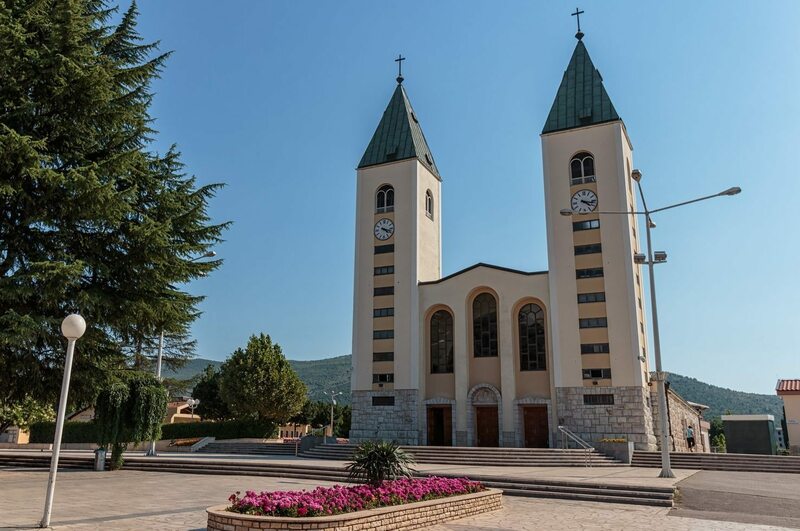 In Medjugorje, there are lots of souvenir shops, boutiques, restaurants and parks to enjoy the spirit of the place, before you make your way back to Split. The price includes: Pick up and Drop off at your accommodation, English-speaking driver/guide, transport with comfortable high class sedan car or passenger van, road tolls and parking, all taxes and VAT. 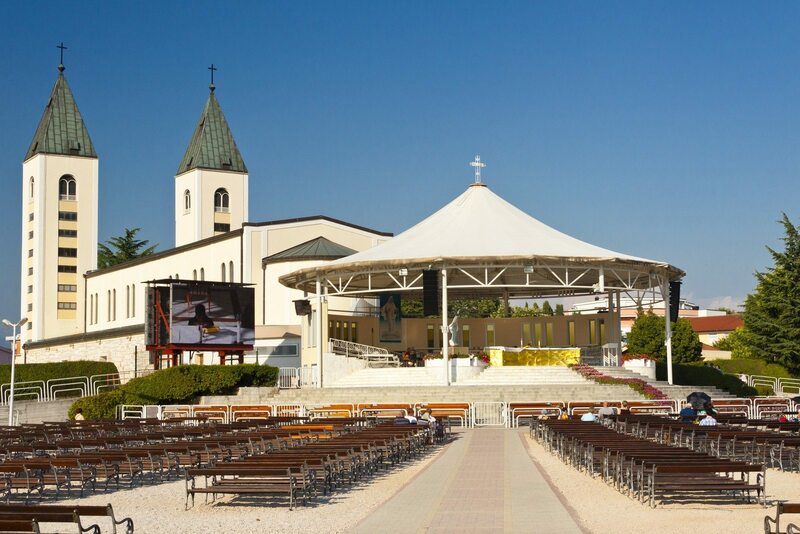 Our Private tour to Medjugorje reveal the very best of this charming town and can be made to suit all styles of travel. If you don’t find what you’re looking for in our itinerary, feel free to alter any part of it . A great day in a beautiful part of the world, with amazing and friendly tour guide. Medjugorje is a very unique place to see and we appreciated the time we had at the Apparition Hill.